A busy week of live audience Q&As after new movie screenings began on Tuesday at the beautiful Zanuck Theatre on the 20th Century-Fox lot. 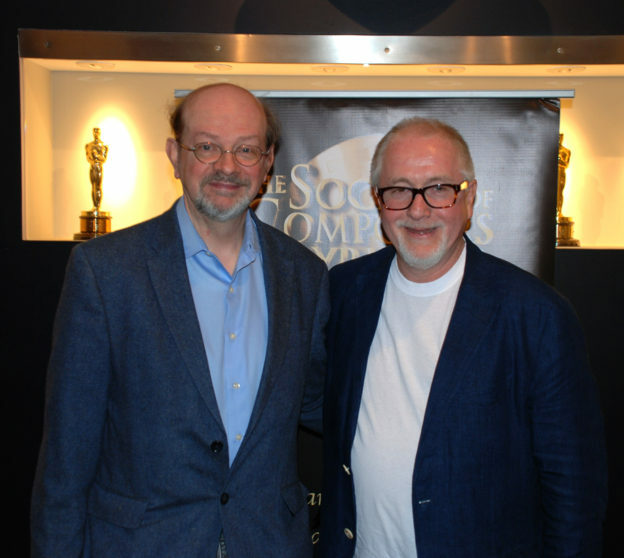 After a showing of the new Kenneth Branagh film Murder on the Orient Express, I interviewed Scottish composer — and longtime Branagh collaborator — Patrick Doyle about his score, and original song, for the film. Doyle is a delightful raconteur and the Society of Composers & Lyricists audience left informed and entertained. Composer John Powell, an old friend and colleague from late 1980s London, was also there and brought down the house with a few well-chosen quips.